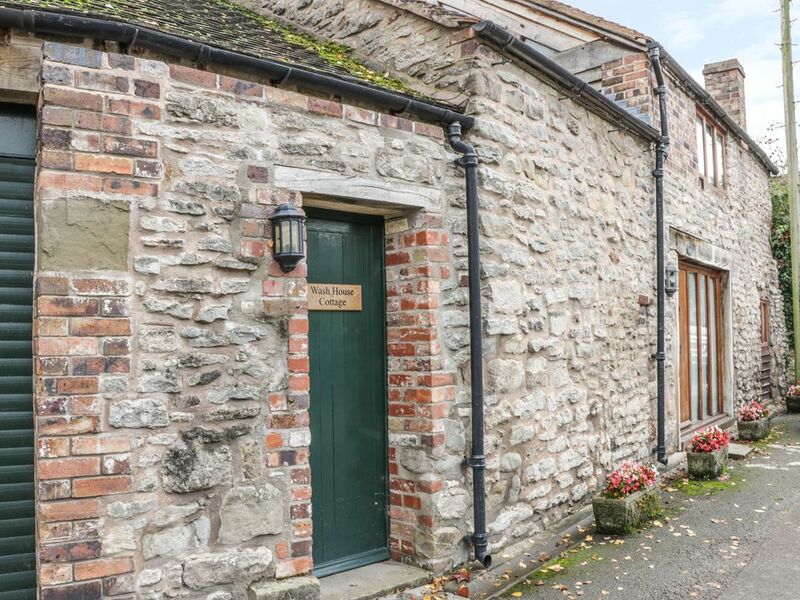 This cottage is located in the village of Much Wenlock, near Callaughton, and can sleep two people in one bedroom. Wash House Cottage is a charming retreat situated in the village of Much Wenlock, Shropshire. Hosting one twin bedroom (zip/link)with an en-suite shower room and a ground floor shower room, this property can sleep up to two people. Inside you will also find a kitchen, dining room, and a sitting room with a double sofa bed. To the outside there is a private patio with furniture. Located in a pretty setting just off the town centre, Wash House Cottage is a peaceful place to stay, in a memorable part of England. Amenities: Electric central heating. Electric oven and hob, microwave, fridge, washer/dryer, TV with Freeview, WiFi. Fuel and power inc. in rent. Bed linen and towels inc. in rent. Private patio with furniture. 1 well behaved dog allowed. sorry, no smoking. Roadside parking. Shop and pub 3 mins walk. Note: Steps up to the sitting room, may not be suitable for those with limited mobility or the elderly. Town: Much Wenlock is a market town that has been around for 700 years. The town offers an array of shops, pubs and restaurants along twisting streets and black and white half-timbered buildings. With the 15 mile long Wenlock Edge there is plenty of walking, cycling and riding to be done here. Nearby are other towns including Shrewsbury, Bridgnorth and Ludlow. One bedroom: 1 x twin (zip/link) with en-suite shower room with shower, basin and WC. Ground floor shower room with shower, basin and WC. Kitchen. Dining room. Sitting room with double sofa bed. Electric central heating. Electric oven and hob, microwave, fridge, washer/dryer, TV with Freeview, WiFi. Fuel and power inc. in rent. Bed linen and towels inc. in rent. Private patio with furniture. 1 well behaved dog allowed. sorry, no smoking. Roadside parking. Shop and pub 3 mins walk. Note: Steps up to the sitting room, may not be suitable for those with limited mobility or the elderly.